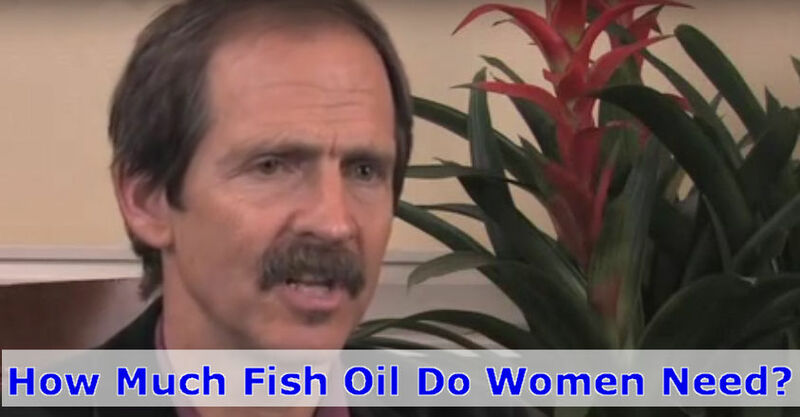 Getting enough fish oil, and enough of the right types of oils, is important for women. Click here to find out more about the brand of fish oil that I personally use. As explained in the video, the key here is to look at the label. Because 1,000mg of fish oil does NOT mean you are getting 1,000mg of the good Omega 3 oils that you really want. That’s why choosing fish oil supplements with a high DHA is so important. So if the label does not clearly tell you the breakdown of that ‘fish oil’, take that as a big warning sign. The label should state how much fish oil there is, e.g. 2,000mg. But it should then state how many mg of DHA and EPA there are too. Or at the very least it should state how many mg of Omega 3 there are. DHA and EPA are some of the most important components that make up Omega 3. With DHA being the one we know the most about right now. Because it gives nearly all of the benefits that have doctors scrambling to recommend we get enough every day. So How Much Fish Oil Should A Woman Take? As Dr. Shannon recommends in the video above, you should be taking 1,000mg of Omega 3 per day – not capsules that say they are 1,000mg of oil – but 1,000mg if you add up the DHA, EPA and DPA listed on the label. And for women that’s a minimum. You can read more about how to decide which Omega 3 supplement to choose here. Or you could go with the one I chose after doing my research. But hopefully that helps clear up any general confusion about how much you should be taking every day as a woman, and what to look out for on the labels of good products.